SQ A wins OneHockey in Hershey! The Squirts had a very eventful weekend up in Hershey. The Park was open, the AHL Bears had a game, lots going on. 5 hockey games, going 2-1 in round robin, the loss coming to Reston. Which is what would end up as the Semifinal game as a rematch, and the Eagles took it to them, winning 7-1 to move to the Championship! 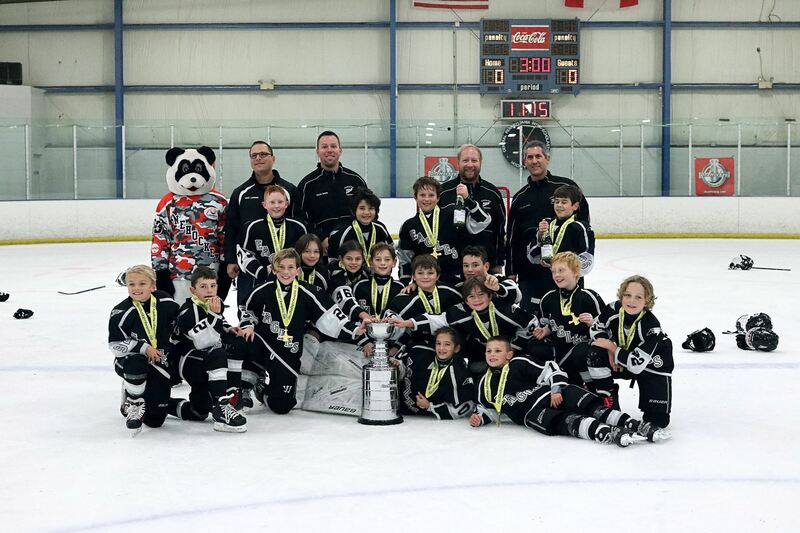 The Championship was against a tough North Jersey Avalanche team, that was also a rematch of game #1. In that first game, the Eagles won 5-3. The rematch was a nerve-wracking battle where the Eagles took the lead and held on through a real onslaught of chances by the Avs... eventually winning 4-3!